On the morning of March 22nd, Brussels airport was the scene of two explosions, and sometime later, explosions occurred in the Belgian capital’s subway. 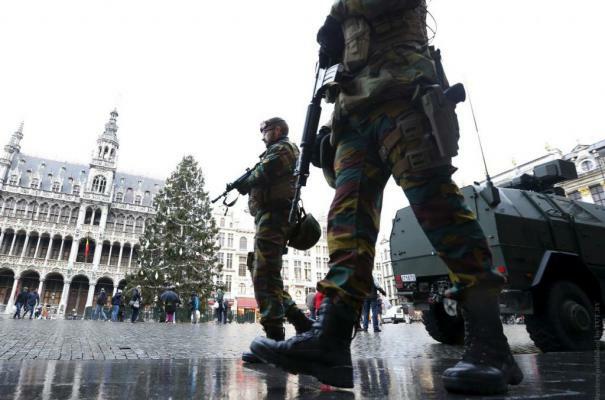 The Belgian authorities raised the level of a terrorist threat to its highest (“serious and inevitable danger”). The same threat level was introduced in Paris after the November attacks. The first explosion took place at Brussels airport at 10:25 AM. According to recent reports, 17 people were killed, with more than 30 people injured. The Belgian media have also reported that the explosion was preceded by gunfire and shouting in Arabic. The explosions occurred near the American Airlines check-in counters in the departure hall. At the same time as the first explosion near the check-in counters, the second one occurred in the departure lounge. The airport was fully evacuated, all flights were canceled, and flights bound for Brussels redirected to Belgium regional airports. Sometime after the explosion at the airport, at 11:26 AM, explosions occurred in the Brussels subway stations: Schuman Square and Maelbeek in the city center (it is part of the European Quarter, the place where all the main EU institutions are located). About 10 people were killed in the blast. People were evacuated from the buildings that were close to the stations, with the entire subway also being closed. The border between France and Belgium is closed too. 2015 was an extremely hard year for Europe: the unstable situation in the Islamic world, especially in Syria, turned the European continent into chaos, where more than 1 million migrants entered Europe. The immigration policy of the European Union rejects, at its foundation, any form of collective identity. This has caused the intensification of ethno-social conflicts. As a result of this migration, EU politics in Europe has become populated by ethno-social groups of migrants from the Middle East, who are in fact the bearers of an archaic and stable Islamic consciousness, which is not known by the average European. The exaggerated principles of tolerance, rights of individualism, and multiculturalism, requires that the European political elites give maximum liberties to migrants and do not require anything in return. As a result of the 2015 migration policy in the EU: 1) the balance between the native Europeans and migrants was broken; 2) the giant socio-cultural pole of an Islamo-Arabic population was created (the fact of its existence is fully ignored by liberal European elites, because of the absence of the criteria of a collective identity in modern European law and politics); 3) the grassroots medium for the creation of radical Islamist structures was created (among the migrants were members of radical Islamic groups). The recent Brussels terrorist attacks are an example of the clash of civilizations and a direct consequence of the EU’s policy of multiculturalism.